“If your brother becomes poor and sells part of his property, then his nearest redeemer shall come and redeem what his brother has sold” (Lev. 25:25). 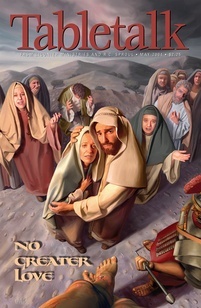 The Atonement of Jesus has many complementary meanings. The Atonement satisfied the justice of God by enabling God to punish our sin in the person of our substitute, Jesus Christ. Jesus also achieved a cosmic victory over the power of Satan through His death on the cross. Yesterday we looked briefly at the idea that the Atonement was also a ransom to liberate the captives. We noted that this ransom was paid to God and not to Satan. Today we will look at two Old Testament passages that will help us understand this idea of ransom. In Exodus 21:1–6, we have a description of how slaves were to be treated in ancient Israel. Normally, Israelites could not enslave other Israelites. But if one incurred a debt he could not pay, he could become a slave to his debtor and work the debt off. This slavery was a form of temporary, indentured servitude and is not to be equated with the dreadful slavery that the Israelites suffered under Egypt. In Exodus 21:4, we are told that if a slave enters slavery as a single man and is given a wife by his master, that wife may not go free when the slave is freed. This seems cruel to us until we consider that an important part of the marriage laws in ancient Israel involved the payment of a dowry to the wife’s father. In this case, the slave may not take his wife because, though he has worked off his indebtedness, he has not paid the bride price. And so, in order to keep his wife, he has two options. Either he can go out and earn enough money to pay the bride price, or he can remain in slavery until the price is paid in full (vv. 5–6). A closely related custom is that of the kinsman redeemer. In Leviticus 25:23–28 we see a law enacted to protect the families of Israel. Property was to remain in the family and was not to be given to others. If a person became poor and had to sell his inheritance, his kinsman was to come and buy it back so that it would remain in the family and so that the poor relative would not become destitute (v. 25). On the cross, Jesus paid the bride price. He is our Kinsman Redeemer who paid our debt so that we may not lose our inheritance. But remember that the debt we owe is a moral debt, not a financial debt. The Father was not obligated to accept the payment of someone else to cover our breaking of the Law. Yet, in His grace, He sent Christ to secure our inheritance by paying the moral debt we owed as covenant-breakers. Jesus has paid the moral debt we owed to the Father for breaking the law of God. He was not obligated to pay this debt, and the Father was not obligated to accept this payment. But in their great love and mercy, they agreed to redeem us in order that we might receive an inheritance. Rejoice in the love and mercy that motivated Christ’s atonement.